Home Tags Articles tagged with "best mom"
Single mother of three Amy Berry has a lot of love out there. 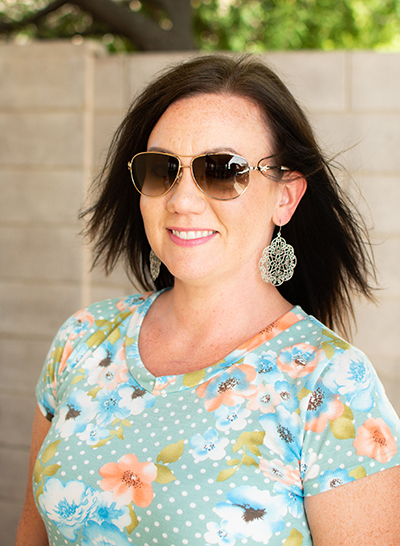 Nominated by six people, she is the 2018 Best Mom in Maricopa. InMaricopa’s Facebook readers “liked” the nomination of the mother they thought most deserving of the award, and Berry came out ahead among nearly 30 nominees. “I’m excited, but I couldn’t do what I do without the village to help me,” Berry said. Originally from Seattle, Berry moved to Maricopa in 2007. She and her children, Cameron, 12, Caden, 10, and Chloe, 5, live in The Villages. When’s she’s not working full-time for Wells Fargo from home, she’s leading Girl Scouts or running her children to their activities. Her two sons are both involved in football, one also plays baseball, and her daughter takes dance classes. Alicia Hills said Berry is a “huge advocate” for the city, the schools and the businesses. Berry received $200 in gift cards from local merchants, sunglasses from Maricopa Eye Care, a family sitting with Victor Moreno Photography and a bouquet from Fry’s. 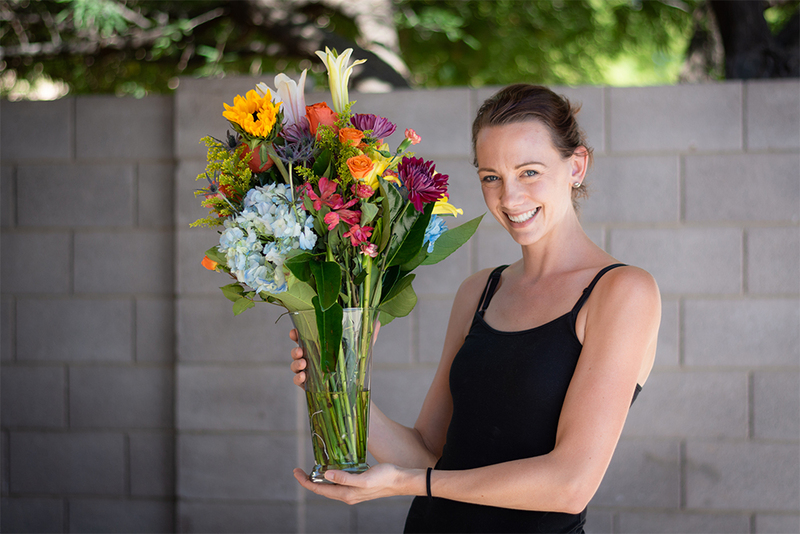 In second place, Kylie Williams received $100 in gift cards and a Fry’s bouquet. Finishing third, Jessica Reynolds aka Jessie Lowman earned $50 in gift cards. With Father’s Day approaching, check Facebook.com/InMaricopa for a chance to nominate and vote for the Best Dad in Maricopa. 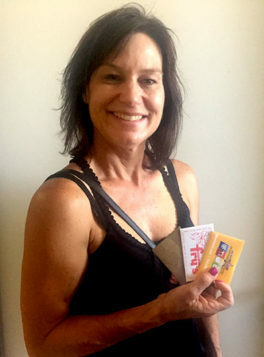 Jessica Reynolds shows off gift cards she received after she placed third in the Best Mom voting.